An interesting facet of the human body is its ability to make mistakes. Your eyes are not the only thing you can fool given the right conditions. As it turns out, you can also fool your immune system into thinking you are under attack. This strange phenomenon is known as hay fever. The medical industry has given it the name allergic rhinitis and respiratory allergy. This is when you incur a common set of symptoms when you inhale or ingest a seemingly harmless particle. These particles are known as allergens, and they differ from person to person depending on their genetic make-up. For some, it’s animal dander. For others, it could be pollen. There are even those that get attacked by hay fever from dust bunnies. In small amounts, these allergens do not pose any sort of realistic threat to someone’s health. But there are chances wherein the immune system would think that it is under attack and will begin to take uncomfortable steps in order to deal with the “foreign invader”. These steps (also known as hay fever symptoms) could include sneezing, coughing, inducing a runny nose, itching of the throat and even a watering of the eyes. One or a combination of these things in rapid succession is sure to cause a great deal of inconvenience. In more severe cases, people have been known to lose sleep because their bodies cannot get rid of the allergens in their system, so the sneezing, coughing and itching persist until everything is eliminated. Fortunately, there are drugs created specifically for these purposes. These are known as antihistamines. Instead of helping the body remove the allergens, they help control the body’s responses to commands from the immune system. They can be taken in sprays or tablets. Unfortunately, they do not deal with the nature of your body to react to allergens. So as soon as the antihistamine wears of and you get exposed, it’s hay fever all over again. 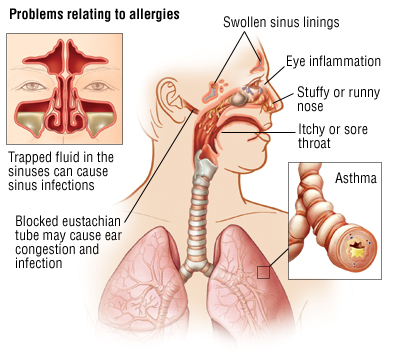 The only way you can really eliminate allergic rhinitis is to build up your resistance against these allergens. With these aside, one treatment has been known to reduce the symptoms and increase resistance to allergens. And it does not require antihistamines and drugs. Halotherapy, as it is called, or salt therapy, is a treatment method using salt particles as a base substance. It works by inhaling microscopic salt particles into the respiratory system of the body. Once these salt crystals are absorbed into the body, they not only clear out the allergens and make them easier to cough and sneeze out, but they also humidify and reduce inflammation in the small airways through which allergens make their way, triggering your allergic reactions. This helps you build up a better resistance with reduced symptoms and increased immunity the next times you are exposed to your allergens. The best way to use Halotherapy is via the use of a machine known as Saltair – Home Salt Therapy. This is a device that can be used at home or at office. 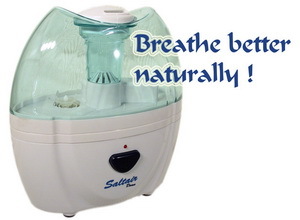 It offers long term exposure to salt therapy and this is mandatory for increasing the respiratory immunity. It creates the “salted air” by releasing microscopic salt particles into the indoor air. When the people inside the room inhale the air, usually during the night sleep, they also take in the salt particles which will then work its magic on their allergies.